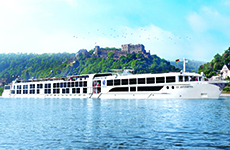 Uniworld River Cruises - FREE AIR! 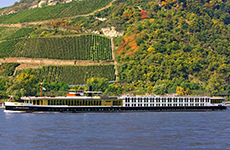 Uniworld River Cruises - REDUCED AIR! Expires: Apr 30, 2019 Get This Deal! Introducing REDUCED AIR on Select 2019 Sailings! Enjoy the world’s best and most awarded luxury river cruise line even more with reduced economy air or business class air for on select 2019 voyages. Special Promotion: Reserve This Cruise By May 31, 2019 and Receive Picture Perfect Savings. Cultural enrichment, including a Signature Lecture: "La Serenissima: The Lagoon of Venice"
Special Promotion: Ask About Special Air Inclusive Prices When Reserved By April 30, 2019. Save up to $2,000 per person! 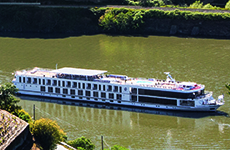 Reduced or waived Single Supplement on select 2019 River Cruises! *Free Economy Air with optional Upgrade to Business Class is available for new bookings only on select 2019 itineraries and departures made between April 1, 2019 and April 30, 2019. Must call to book free air. Cruise fares shown are per person based on double occupancy with economy class air including all airline fuel surcharges, government fees and taxes for select US gateways. Gateways not included in this offer will be charged an air add-on fee of up to $500 per person. Air schedules will be determined and air tickets will be issued at the sole discretion of Uniworld. Requests to customize air schedules beyond choosing a non-included gateway, will result in additional fees and any increase in airfare will be charged to the guest. A non-refundable deposit of $450 per person is due at time of booking in addition to the standard 10% deposit. Air bookings may be cancelled within 24 hours of booking to receive a complete refund. This offer is not combinable with any other promotion, is capacity controlled and may be modified or withdrawn at any time without notice. Economy and Business Class air is subject to availability at time of booking. Free Economy Air offer is not applicable to suites. Other restrictions may apply. INCLUDED US GATEWAYS: ATL, AUS, BDL, BNA, BOS, BWI, CLT, CMH, CVG, DEN, DFW, DTW, EWR, FLL, IAD, IAH, JFK, LAS, LAX, MCO, MCI, MEM, MIA, MSY, ORD, PDX, PHL, PHX, PIT, RDU, SAN, SEA, SFO, SLC, SMF, STL, TPA, TUL.